Wednesday night was our Create Craft Club meeting for this month. We made... umm, decorative balls. I guess that's what you'd call these. As you can imagine, we got the giggles many, many times trying to come up with a good name! Naming aside, these puppies turned out awesome! We each brought our own glue gun and the hostess, Alisa, supplied the directions along with the other materials we would need. We've decided that open-ended crafts like this where each girl can really express herself creatively and differently are the best crafts. We covered the styrofoam balls in twine, artificial flowers, felt, and fabric. Read Lindsey's way more eloquent account of the night at Leaf and Letter Handmade. Next month we are going to plan out our whole year...who will host and what crafts we'll attempt. The way we do this is I ask each girl to bring two ideas then we all vote on our favorites. There are some criteria though. We're looking for low-sewing and not crazy messy crafts that appeal to single and married girls, with and without kids. Can I ask for your help? Do you have any ideas that we may want to try? Weird, I'm noticing a theme here! I'd love to hear your thoughts, so get commenting you creative ladies! I love that you and your friends have a craft club. I would love to start something like that! Thanks for the great craft idea. We do a craft night too! We call it "Mom's Craft Night Out" and I do all the crafts...although I like your idea with them bringing ideas. Here is a link to my blog and all the crafts we have done. Cindi, thanks for the suggestions! I really like your family "established in" plaques. Those are so pretty! I love that you have craft nights...sounds like a great time to get together with the girls and relax. I'd love to do that one day! We are trying to start our own craft club so I love the inspiration that your group provides. For January, we made Valentine's corsages. Oh cool! I really like the silk screen printing idea. Also, I've been dying to try this Vanity Mirror project-- you'd just need to tell your group to be on the lookout for old mirrors at thrift stores or Goodwill the next few months. Then the host could supply the mod podge and some wallpaper samples. After checking out her website I bought 2 copies of her book. I rarely make quick purchases like that, so that's saying a lot! Thanks for posting about it! I love all of the balls that you made! I collect decorative balls & my boys are always so tempted to use them. I just have to remind them that they are mama's pretty balls. :) I will have to make some soon. 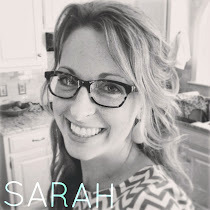 Oh, this comment just made my day, Sarah-- thank you! If you ever need a crochet demonstration, I would be honored to come share. I was referred to your blog through a mutual friend, Sandy Munshower. Using old belts (get them from Goodwill/thrift stores) and any kind of lightweight wood or paper mache embellishments. I would like to have a craft club too here in my place. I think I need some people that I can share my interests with. Craft night is so fabulous! Ours is this thursday and since the gal in charge fell through this is the perfect last minute project! What a great idea!